The Great Commission: Make Decisions? Make Converts? Or Make Disciples? I remember, too, some more nuanced conversations around this “Great Commission” given by Jesus. Did the “go” mean “go!” as in a command to get off your duff and head out into the hinterlands to make disciples? Or did the “go” mean “as you go,” meaning “as you go about your daily lives” make disciples? In other words, do we all have to be missionaries in Africa, or can I stay home? I also remember some conversations around how exactly we were to “make disciples.” The general gist? We make disciples by sharing the gospel with people, that is, sharing the good news that Jesus died to take the punishment for their sins and so, if they simply confess their sins and believe Jesus died for them in this way, they can be forgiven by God and have the assurance of eternal life in heaven. This would be followed at some point by baptism, of course—the “baptizing them” clause of the Great Commission. And then there is to be some “follow-up” to this evangelism. After they’ve made a decision for Jesus, after they have accepted Jesus into their hearts, they should go to church and read their Bibles and pray and strive to live a godly life by God’s grace and power. Ideally someone mentors them in all this. This is the “teaching them” clause of the Great Commission. At some point, however, this way of understanding the Great Commission didn’t cut it for me. I read and studied the Gospel of Matthew as a whole, and I realized Matthew’s Great Commission didn’t mean what my evangelical guides had taught me it meant. Okay, maybe that’s a bit cynical. But you get my drift. The Great Commission doesn’t call us to “make converts to Christianity.” Jesus doesn’t care if we call ourselves “Christians” and fit into the religion we call “Christianity”—or “Evangelicals” or “Anabaptists” or “Catholics” or “Mennonites” or whatever. He himself was a practicing Jew. He didn’t come to found a new religion. Stop making converts to your special version of religion. 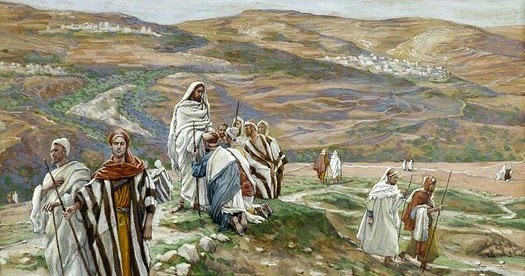 Rather, the Great Commission calls us to “make disciples of Jesus,” people who will follow the resurrected Jesus in his cross-shaped footsteps, expressing their devoted love of God through their committed, compassionate, peacemaking, justice-seeking love of others—neighbours, strangers, and enemies alike, and especially the last, the least, and the lost in our world.